Sewage backup can be a tricky task, especially when it takes you away from the sun and energy of Doral. The sewage backup Doral experts at 911 Restoration Miami are your trusted source for all sewage related problems. Doral is a small-town community and big-city business collide, a unique combination that regularly earns the city top marks in ratings of cities by lifestyle. Our sewage backup Doral team recognizes the value of this town. That is why we’re committed to always put the customer first, bringing same day service and an affordable price together to ensure that Doral stays in fine form, even when a messy sewage disaster strikes. Our sewage backup and cleanup services are second to none, just like the city of Doral itself. So let the professionals at 911 Restoration handle the situation and call us now for your home sewage backup repair! Who to Call for Home Sewage Backup Repair? We do Black water, grey water, and returning water removal and water extractions. We have experience with all sewage and cleanup restorations aspects, including category 3 situations. We can repair or replace anything from general plumbing issues, a pipe burst, washer burst, sewage backup and even a flooded toilet. We also offer information on how to maintain sump pumps, gutters, downspouts, a water line, and even a sewage back flow valve. We are highly skilled in all aspects of mold removal including mold remediation, mold decontamination and all other related high technology mold remediation techniques. We also offer general information on what to do when severe storms, floods or even a hurricane threaten to inflict water damage on your home. Our sewage backup Doral team will respond within 45 minutes, day and night, to all sewage backup problems. No issue is too small, or too intense, for our team to be there with our latest drying technology. And, we work with all insurance companies to ensure that Doral’s homes stay in tip top shape so give 911 Restoration Miami a call today. How do I know if my insurance covers sewage backup? The sewage backup Doral team has the industry leading experience to know that many sewage backup issues are indeed covered under homeowners insurance policies. But just to be sure we recommend reading up on your homeowner’s insurance policy so you can act quickly and effectively when disaster strikes, and avoid any potential gaps in flood or sewage coverage. Remember, our sewage backup Doral team has experience working with all insurance companies to deliver the best restoration services at the most affordable price. We will work with your insurance adjuster and we can even help file your insurance claim for you. Customer service like this is what makes 911 Restoration Miami the best sewage backup company in Doral, so give us a call and begin your water damage restoration work today! 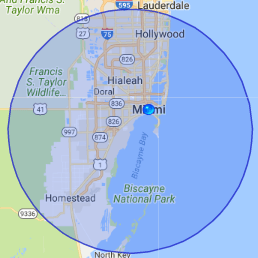 Where Can I Find The Best Sewage Backup Company in Doral? You have already found the best sewage backup Doral company: 911 Restoration. We value professionalism and train our technicians in the very best sewage cleanup techniques. We respect our customers which is why we are licensed, insured and bonded. Our customers know they can count on us for superior cleanup services. All you have to do is read our testimonials to see what real customers think of us. Most importantly our sewage backup Doral team is dedicated to making a difference in your life. 911 Restoration Miami’s goal is to give your life, the lives of your family, and your home a fresh start. We are available 24/7 so call us today for free inspection.